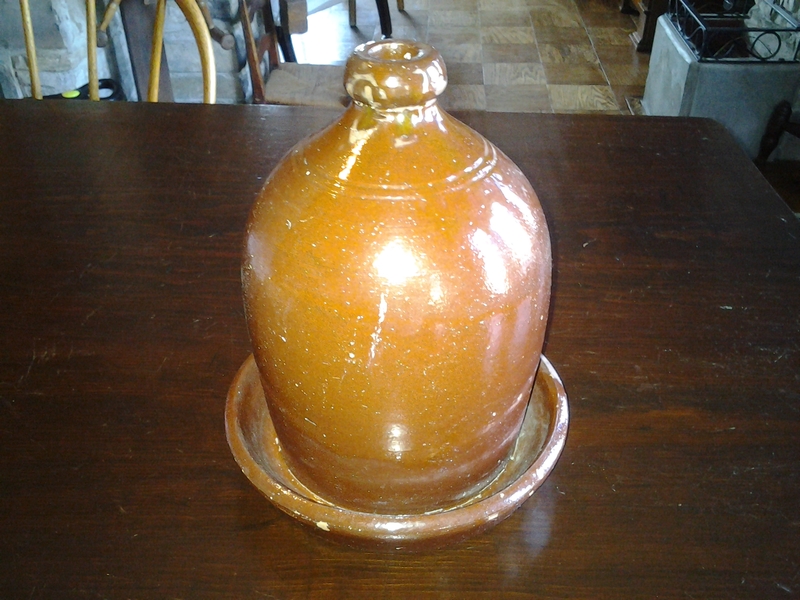 Nice Redware waterer, likely produced in Southwestern Ontario, where it was also found. Base is attached and in good condition with a few light chips to the orange-brown glaze, pictured. 8.75" tall. 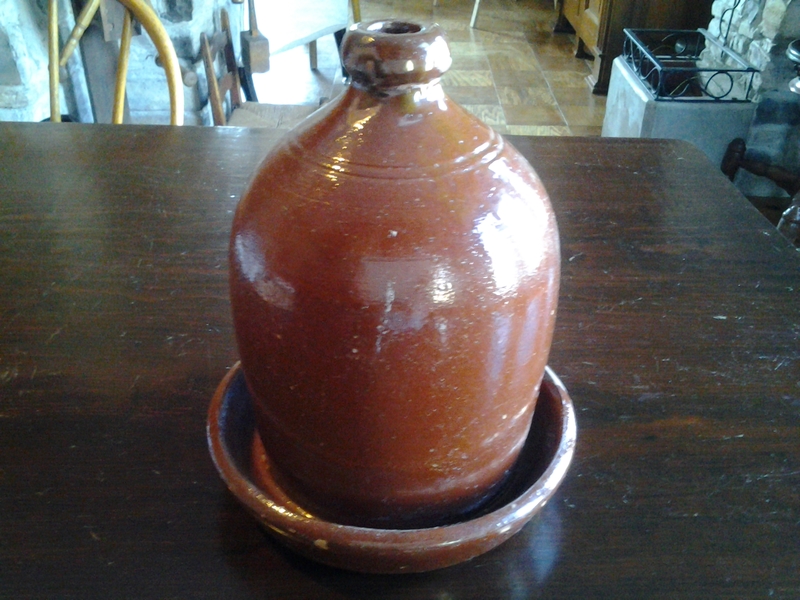 An interesting piece for your redware collection.